Usher at the 2016 Cannes Film Festival. 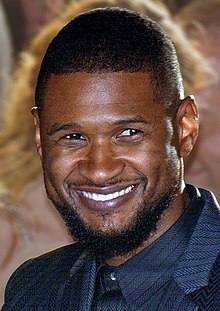 Usher Raymond IV (born October 14, 1978) is an American sangster, sangwriter, dancer, an actor. This page wis last eeditit on 22 Julie 2018, at 16:11.